Your period is a monthly visitor that lots of women don’t really like to talk about. That can be a problem, experts say, because it makes it harder to know exactly what’s ordinary and what could be an indication of an underlying medical issue. When it comes to bleeding, for example, “It’s hard for women because we don’t know how much blood other women lose, so people tend to think that what’s normal for them is normal,” said Dr. Jennifer Blake, CEO of the Society of Obstetricians and Gynaecologists of Canada. She’d like women to appreciate their “elegant” cycle, she said, and understand that periods are not a shameful thing. Here’s what’s normal to experience during your period, and when you should consider seeing a doctor. Women typically bleed more at the beginning of their period than the end, said Dr. Catherine Allaire, medical director of BC Women’s Hospital Centre for Pelvic Pain & Endometriosis. It’s obviously hard to measure whether your bleeding fits within a normal range (two to three tablespoons, according to the SOGC) but there are definite signs of excessive bleeding, she said. “If someone is having to change their protection more than every few hours, or having accidents, bleeding through protection or having to get up at night to change protection so they don’t have stained sheets, or are passing large clots, all that would be considered abnormal bleeding or heavy menstrual bleeding,” Allaire said. “You put on a pad and then in an hour you have to change it because it’s completely soaked,” would be an example of excessive bleeding that should be looked into, Blake said. Excessive bleeding could be caused by things like fibroids, malignancies in the cervix and uterus and a number of other conditions, Allaire said. Left unchecked, she’s even seen it result in anemia — where the woman doesn’t have enough iron. There is a fair amount of variation in women’s cycles, but a normal cycle is considered anywhere from 21 to 35 days between the first day of one period to the first day of the next, according to the SOGC. Bleeding usually lasts between three and eight days, according to their website. Big deviations from this timing can be cause for concern. 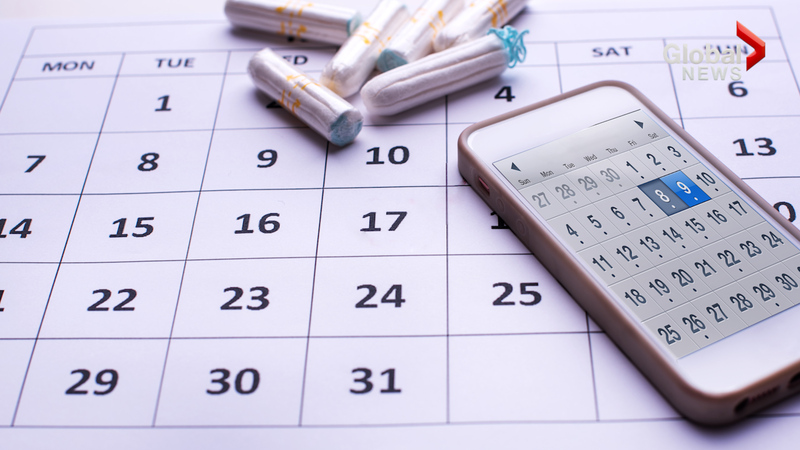 It’s normal during the first few years of menstruation for a girl’s cycle to be a bit irregular, Allaire said, but after that, if you skip periods for more than three months and you’re not pregnant, you should mention it to your doctor. Frequently skipping periods could be an indication of stress, irregular ovulation, too much exercise, an eating disorder, or other things, and it’s important to find out, she said. A little bit of discomfort during your period is normal, Allaire said, though not everyone experiences it. This pain should be easily controlled by simple over-the-counter pain medications like ibuprofen or naproxen, and shouldn’t interfere with your everyday life, she said. Pain should not be associated with things like nausea and vomiting, she said. It also shouldn’t radiate down your legs, said Blake. Excessive pain could be an indication of endometriosis, Allaire said, a condition that on average takes years to diagnose — meaning the woman is living her life in incredible pain. “It’s time to stop normalizing women’s pain,” she said. Pelvic pain outside of your period should also be looked into, she said. There are treatments available for most conditions that can be causing problems during menstruation, she said, so it’s important to seek help. The Society of Obstetricians and Gynaecologists has extensive information about periods on their website: yourperiod.ca.